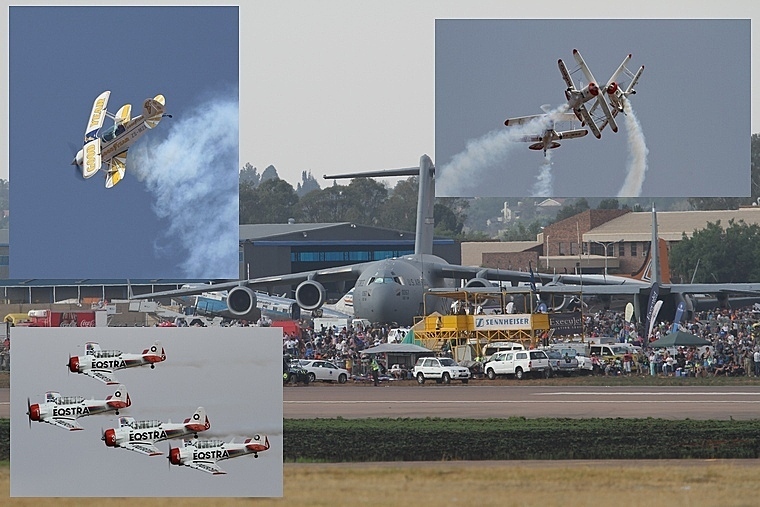 The bi-annual airshow that follows the three trade days of the Africa Aerospace and Defence Exhibition has always been one of the highlights on the aviation calendar. This year, despite no foreign military participation, it lived up to its reputation and thrilled the crowds with an action packed program. 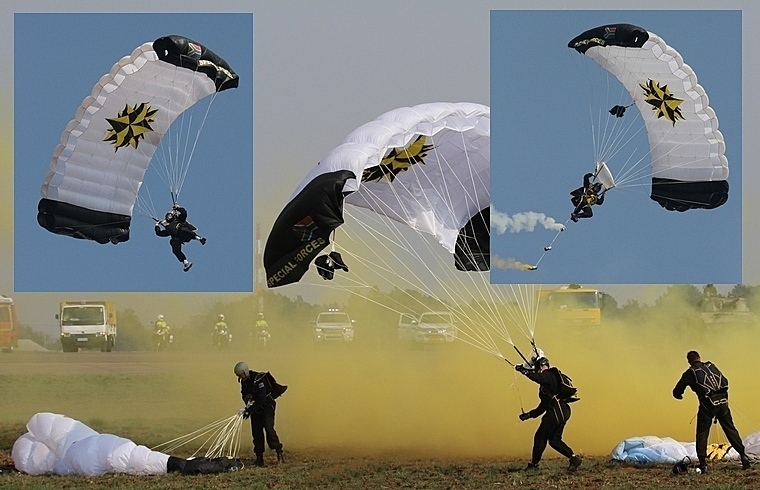 The only hitch in the program was the cancellation of the USA's Golden Knights Parachute team whose display, despite already having taken off, was cancelled. No reason for the cancellation was offered leaving the crowd totally in the dark. Lt. Gen. Masimang, the Chief of the Air force officially opened the show on day one, Saturday 20 September. The general received the show scroll from a member of the a combined team of Special Forces, Defence Force, SAAF and civilian Skydivers who had landed with pin point precision in front of the show control centre. Although not taking part of the show the arrival of five classic airliners shortly before the opening had those that arrived early to ensure the best viewing spots on their feet and spontaneous applause followed each landing. 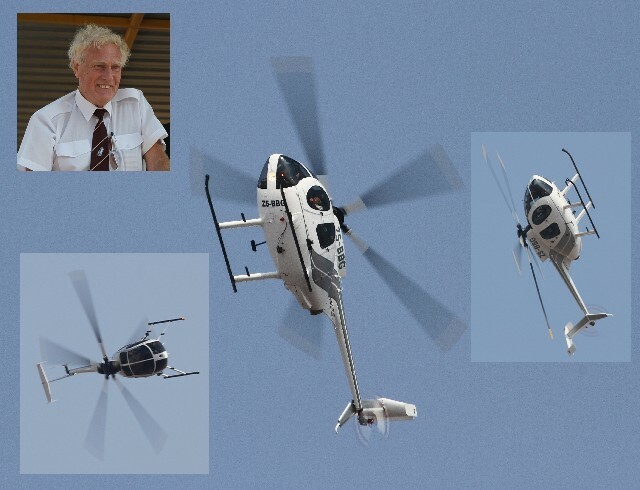 Eighty two year old Dennis Kenyon, an aviation legend with 1,500 airshow displays and more than 15,000 helicopters hours had the crowd on their feet with his amazing display in the MD 530F. If David proofed that the age of a display pilot is totally irrelevant Jeff Earl in the Tiger Moth proofed that the same applies to the age of the aircraft that is being displayed. Johan von Ludwig's display in the locally designed and produced Wagtail Aviation proofed that no matter what you display, if the display is thrilling enough, the crowd will applaud. There can be no doubt that the Silver Falcons are up there with the best in the world. Their precision formation sequence has been seen by hundreds of thousand all over the country and they are without a doubt the ambassadors of the SAAF. The SAAF Museum the, custodians of our rich military aviation heritage, are based at AFB Zwartkop just down the road from Waterkloof and displayed their impressive collection rotorcraft and fixed wings including the de Havilland, the SAAF's first jet engine aircraft. Gripen, the SAAF's current air superiority fighter was put through its paces in a number of displays that showed the manoeuvrability of the fourth generation Swedish designed fighter. The Cheetah that was replaced by the Gripen is based on the Mirage III and was the countries first locally designed and produced fast jet. 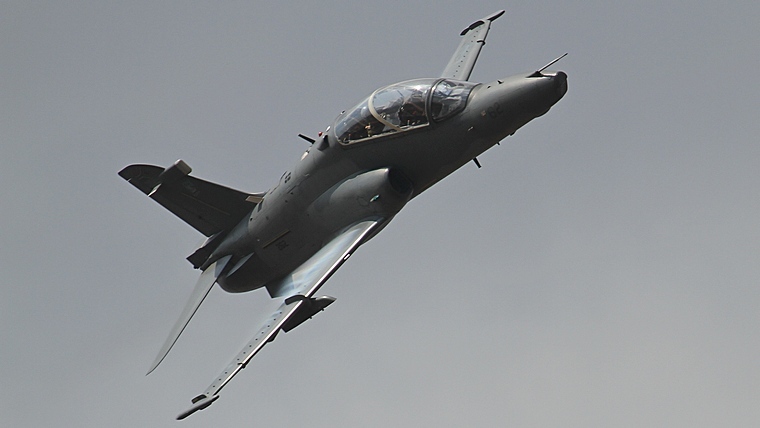 It has now found a new lease of life with certain South American Air Forces. 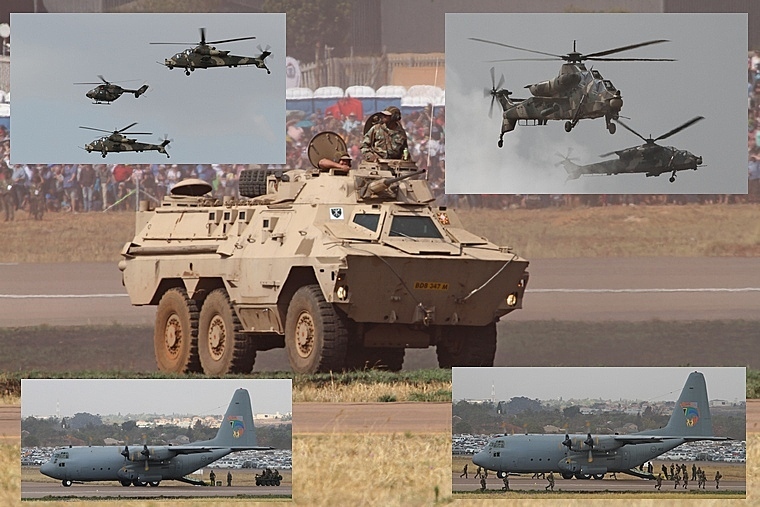 Proudly South African and now proven in battle the appearance of Rooivalk at any event instantly drew the crowds to its feet. 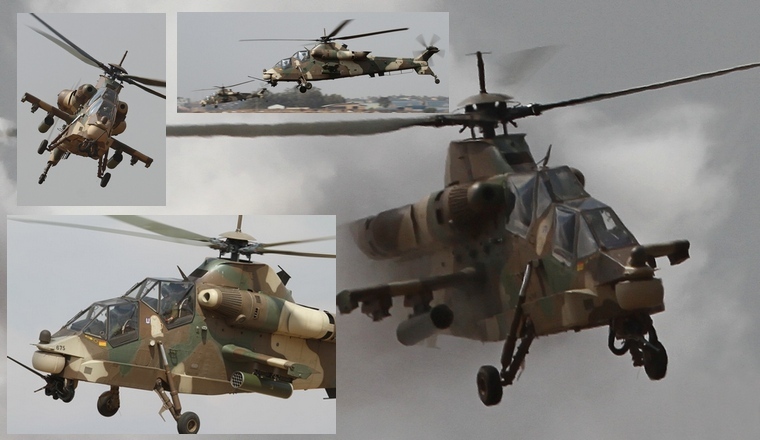 On Saturday the locally designed and produced attack helicopter took part in the mini war simulation and again showed why it was almost solely responsible for convincing the M23 rebels in the DRC to lay down their arms. 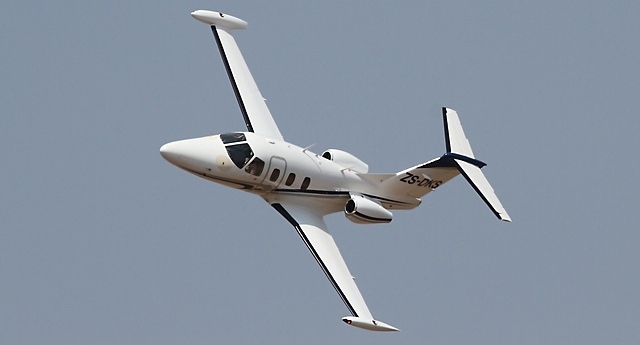 Despite the fact that most of the manufacturers of regional passenger jets were represented at AAD the only one to display on Saturday was the Eclipse Jet. The show program was so full that one can only presume that no more slots were available. We were unfortunately not able to attend on Sunday and so do not whether any other was displayed then. 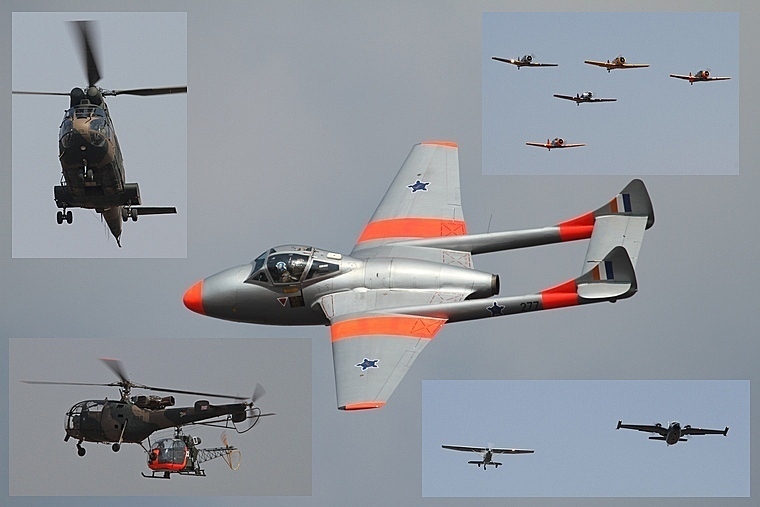 Besides the SAAF and SAAF Museum fixed wing and rotorcraft displays Warbirds enthusiast were also treated to displays by the T28 Trojan and Impala Mk1. Despite the huge numbers of Impala's locally produced only three are currently flying in the country and only ZU-IMP is regularly displayed. 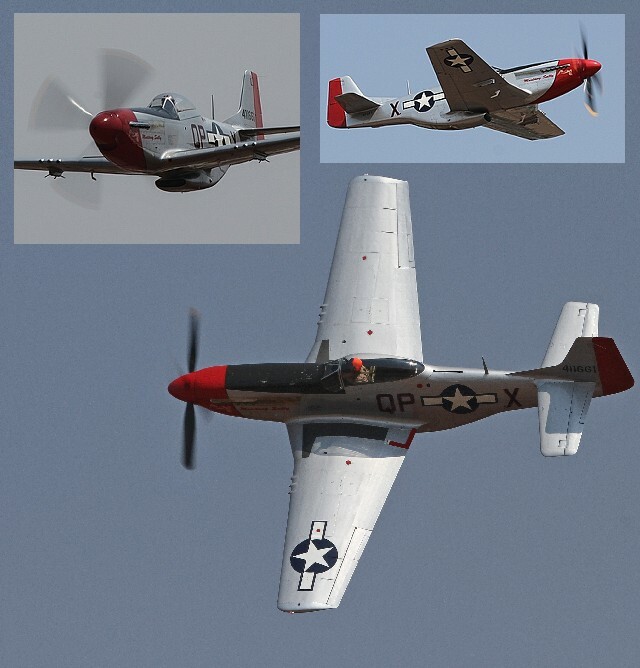 Another crowd favourite and airshow regular is the Mustang of Menno Parsons. 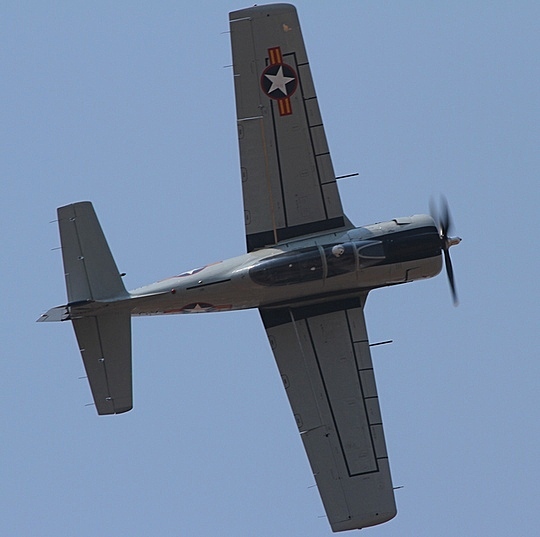 Mustangs were used by the SAAF forces during the Korean conflict. There are currently three examples in the country, two of which are airworthy. 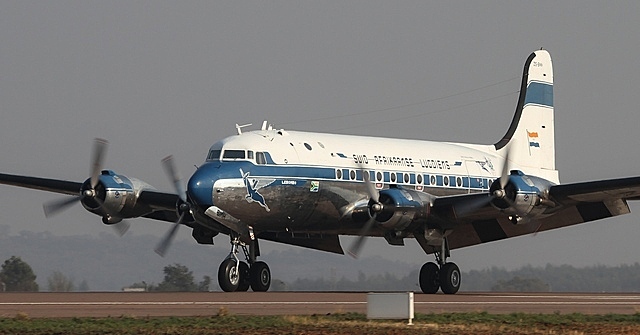 The third is on static display at the SAAF Museum. Displays by civilian airliners have become a part of the airshow scene. The value of having their brand exposed has been recognised by airline operators. On Saturday low cost carriers Comair's Mango and SAA's Kulula made use of the opportunity to expose their brands to the huge crowd. 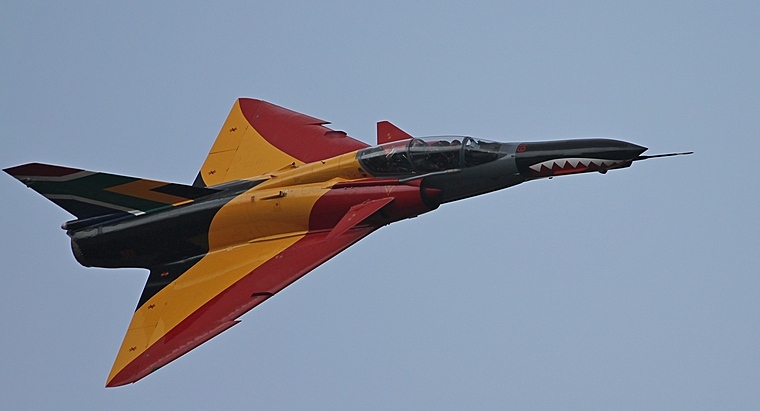 Mango's display was in formation with the SAAF's Silver Falcons. Hawk that has replaced the Impala as the SAAF's jet training aircraft are just as capable to serve in the ground attack role. Based at AFB Makhado in Limpopo at 85 Combat Flying School in the training role they serve to train pilots to graduate to Gripen. On Saturday a four ship Hawk Formation made its debut, the first jet display team since the retirement of the Impala. 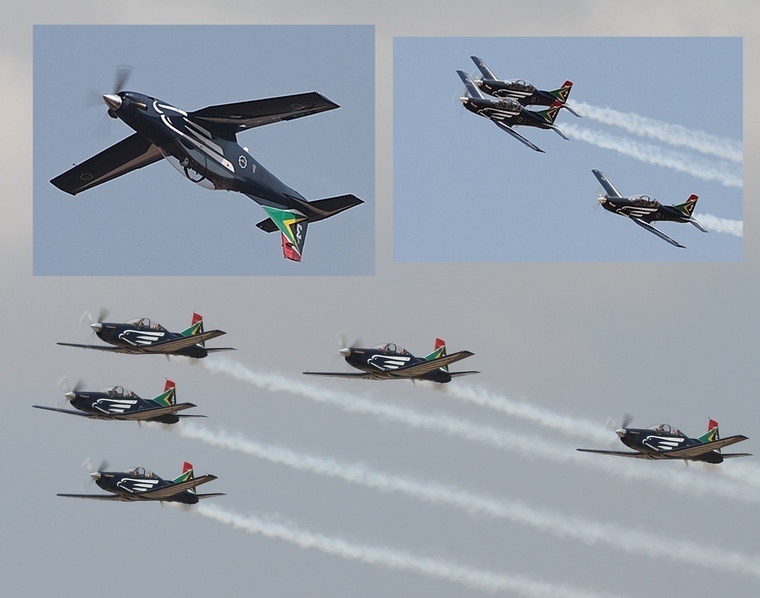 The standard of flying was absolutely outstanding and if the SAAF plans to continue with this team crowds all other are going to be in for a treat. 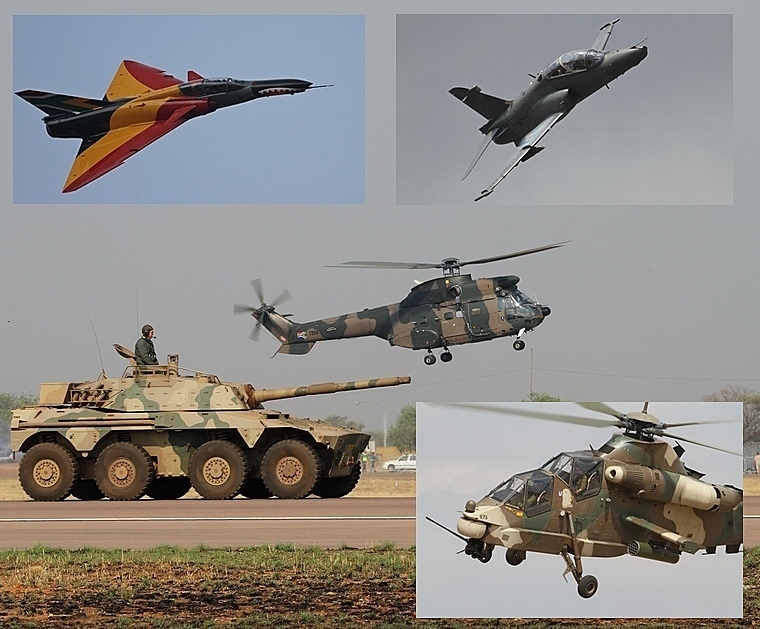 The SAAF are the biggest operators of helicopters on the continent. Many of which including Rooivalk and the South African designed Oryx are deployed as part of UN Forces to trouble spots on the continent. 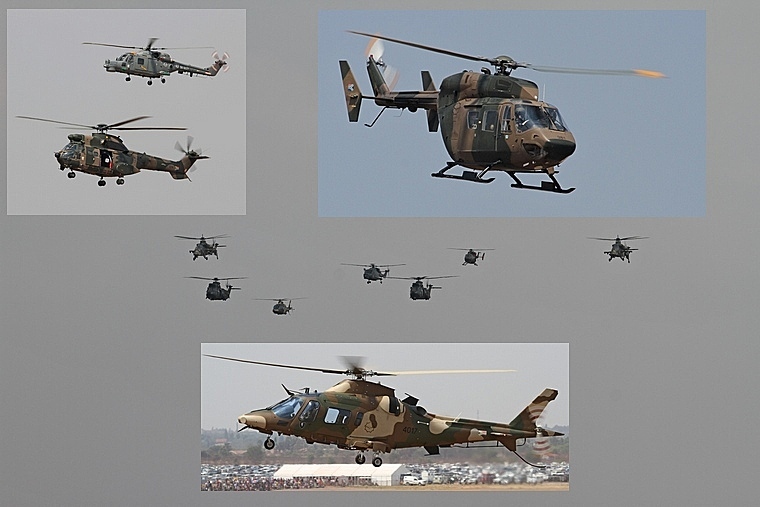 Others operated are the Agusta 109, BK117 and the Westland Lynx that serve with the SA Navy. 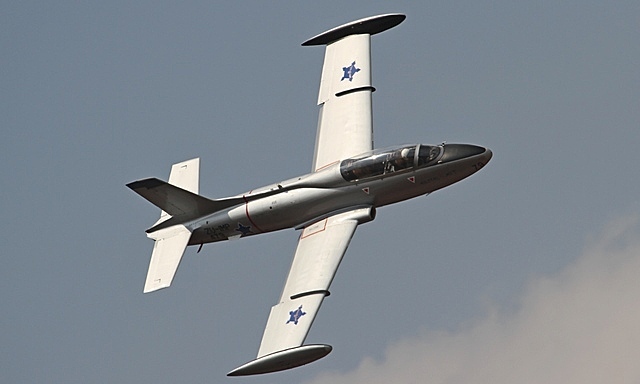 Airshows, however exciting the military component might be, need variety and to fill that rest on the shoulders of the pilots of high performance aircraft to thrill the paying spectators with feats of breath-taking aerobatics. Formation flying has been an integral part of aviation for decades. It is an art that involves total trust in the abilities of one's team mates and the sight of three or more aircraft flying a sequence as if tied together has never ceased to amaze. Firefighting demonstrations are a popular part of airshow, especially of a Bell variant of the legendary HU1 is involved. On Saturday, working on Fire, an exhibitor at AAD showed the appreciative crowd how it's done. War simulation are another reason why crowds flock to shows, the explosions, smoke and aircraft, troops and vehicles bring to life what one normally only experience in the movies. The AAD simulation featured a large collection of armoured vehicles, troops, aircraft, helicopters and lots of smoke and explosions and there can be no doubt that the paying public got their money's worth. As always the Capitol Sounds team kept everybody entertained and informed. The interviews, especially with participating pilots was a nice touch as was the use of SAAF personnel, pilots and other stakeholders to assist with the commentary. Whether AAD 2014 was a success in terms of feet through the halls we will not know until later. 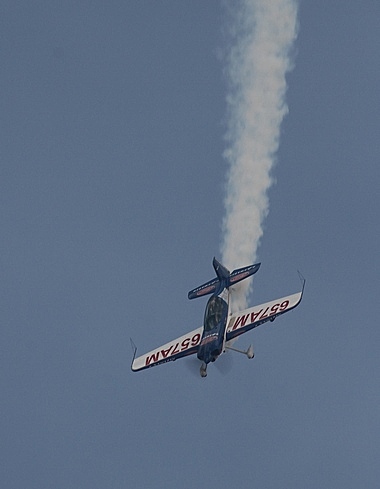 The Saturday show without a doubt was the best aviation event this year. Asked how he rates it out of ten one media correspondent said twelve. The organisers and all involved can be proud of putting together an event that was both entertaining as well as informative and catered to most tastes.